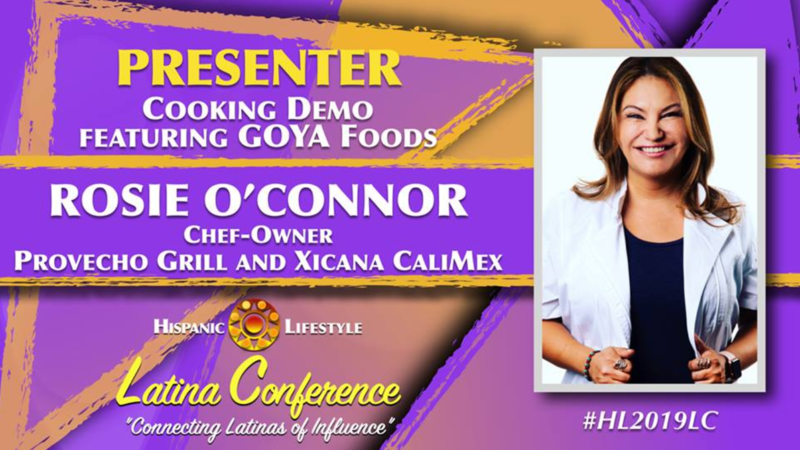 You’re invited to register for the Goya Club de Cocina Pop-Up Workshop to be held at the Hispanic Lifestyle Latina Conference on April 11 at 11:30 a.m. in Ontario, California. Special guest Chef, Rosie O’Connor, the award-winning Chef-Owner of Provecho Grill and Xicana CaliMex, will present tasty recipes for Spring. The first 25 to sign up via Eventbrite will receive reserved workshop seating and free admission to Day Two of the conference. Only those pre-registered via Eventbrite will receive free Goya Club membership, membership card, samples, and a re-usable shopping tote. Join us! For more Latina Conference information, please visit: http://bit.ly/2AaDvR8. Join Chef Rosie at the Latina Conference! The Goya Pop-up event is FREE with registration. Click the button below to register.